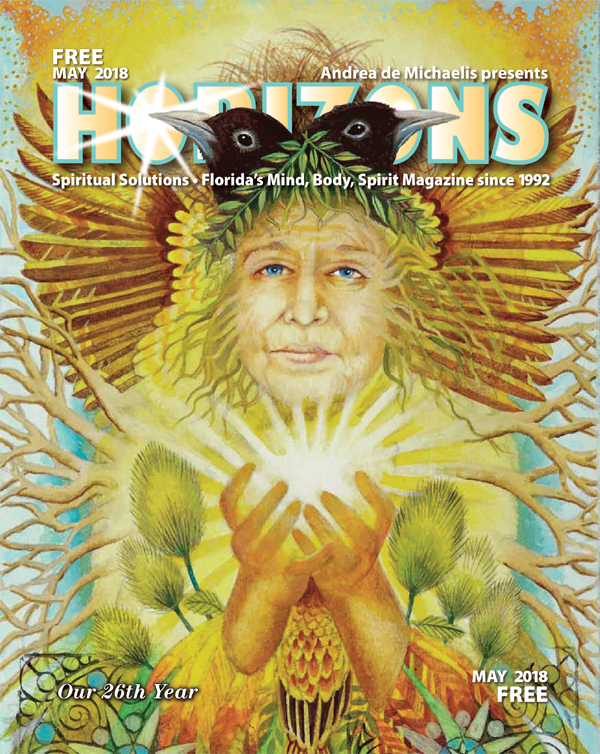 The May 2018 Horizons is now online at http://horizonsmagazine.com/mags_online/5-18-Issue.pdf . The flipbook version is at http://horizonsmagazine.com/fb/5-18/index.html. We are honored to have nationally known Maya White doing the monthly horoscopes. Maya White is a Master Destination Astrologer and one of only 90 people in the world certified in Astro*Carto*Graphy, a specialized branch of astrology which helps people find their perfect place on earth for love, prosperity, and personal growth. 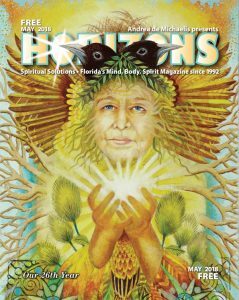 Visit Maya’s website and for an introduction to Maya White, read here http://horizonsmagazine.com/blog/introducing-horizons-new-astrologer-maya-white/ Contact her and ask what she might do for you. Here are this month’s horoscopes: Cusp dates are accurate for 2018. Sometimes the actual date the sun enters the sign varies by a day or so because of a leap year, or, even the time of day. I assure you these cusp dates are correct for 2018. This entry was posted in Uncategorized on April 29, 2018 by Andrea. It doesn’t matter to me what religious or political viewpoint you hold. What matters to me is that we each respect the other’s right to our own viewpoint. What matters to me is that I don’t have to listen to repeated criticism. Several years ago I lost a longtime friendship not because we had opposing political views, but because he would not let up. Every time we spoke he had to bring up politics and rant on and on about the one he hated. I don’t want to hear that, no matter who it is. I didn’t even vote for that person. We’d known each other 30 years, discussed a myriad of topics yet now all of a sudden, this became his one topic. I have other friends with opposing views and we are so busy having a good time talking about mutual interests that the topic of religion or politics never comes up. Are you getting a sign that your dollars await you elsewhere? Are you getting a sign that your dollars, your clients, your recognition awaits you elsewhere? I have met some pretty amazing healers and teachers in my time and none of them advertised nor wanted recognition for it. 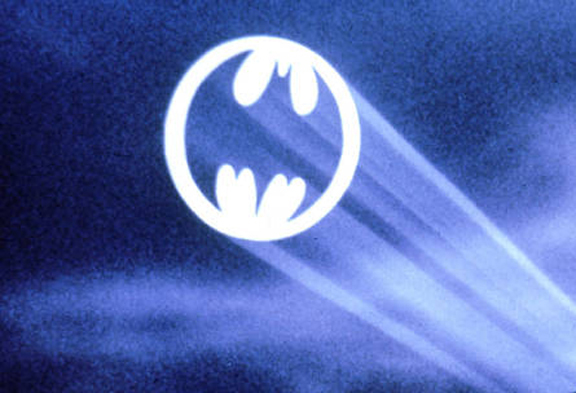 The fact you are not thriving in your work could be Universe’s bat signal that there is something else you are more suited for. Your dollars/ market/ clients/ await you elsewhere. My experience is if it’s what you are supposed to do, it will be easy, it will flow, things will line up, the money will be there, the opportunities will be there, the right people will show up at the right time. Resistance always has meaning. Rejection is protection. It simply means there is something you are more suited for and your market, your clients, your recognition awaits you elsewhere. This entry was posted in Uncategorized on April 28, 2018 by Andrea. Opportunities are presented to you in response to your self talk. Ask for new doors to be shown to you, then ask (within/silently) in every situation and as you stand before every person, what good does this person or situation have for me? If your thoughts are wrapped up rehashing past problems, you’re not actively looking for your good. When you look for your good, people will come into your life to help you achieve it. 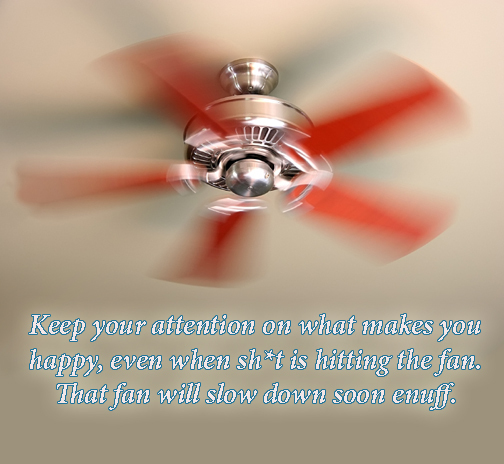 Situations will unfold that will delight you. Be on the lookout for WHAT GOOD DOES THIS DAY HOLD FOR ME? This entry was posted in Uncategorized on April 25, 2018 by Andrea. Tough times come to pass, they don’t come to stay. Even when tough times are passing thru, it doesn’t have to be a bumpy ride for long. It takes practice to be able to expect and believe that something better is on the way. This entry was posted in Uncategorized on April 17, 2018 by Andrea. This is a very sacred and holy moment in time. CERTAINLY KNOW that even as the world as we know it may be changing, a new world will be emerging that we can find our place in. EXPECT AND BELIEVE that you will not miss opportunities when they come, and come they will. The tarot card The Lightning Struck Tower depicts a breakdown in the current situation and something preferred emerging from it. DON’T FEAR the new world which now seems in chaos. It will come to order in a way that you feel comfortable with, I promise you. The Weather Channel just reported 50 million people are at risk today from the approaching storm. 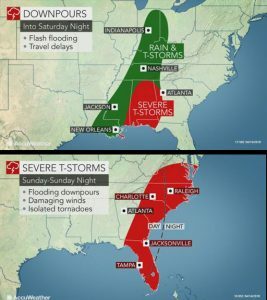 During times like this, it’s important to remember that if you’re in the path of it, prepare as well as you can, then know that it can pass right over you and NOT leave you devastated. Your home can be left standing when all around it may not. Remember that is a possibility and it’s tied to your belief and expectation. It’s possible for every one of us to experience the storm fully, yet be unharmed and un-inconvenienced by it. Knowing that and believing that helps. This entry was posted in Uncategorized on April 15, 2018 by Andrea.